In this Vietnamese name, the family name is Ngô, but is often simplified to Ngo in English-language text. According to Vietnamese custom, this person should properly be referred to by the given name Diệm. Ngô Đình Diệm was born in 1901 in Quảng Bình, a province in central Vietnam. His family originated in Phú Cam Village, a Catholic village adjacent to Huế City. His clan had been among Vietnam's earliest Catholic converts in the 17th century. Diệm was given a saint's name at birth, Gioan Baotixita (a Vietnamized form of Jean Baptiste), following the custom of the Catholic Church. The Ngô-Đình family suffered under the anti-Catholic persecutions of Emperors Minh Mạng and Tự Đức. In 1880, while Diệm's father, Ngô Đình Khả (1850–1925), was studying in British Malaya, an anti-Catholic riot led by Buddhist monks almost wiped out the Ngô-Đình clan. Over 100 of the Ngô clan were "burned alive in a church including Khả's parents, brothers, and sisters." Note that while he is usually referred to as Diệm in English, his family name is actually Ngô. Ngô Đình Khả was educated in a Catholic school in British Malaya, where he learned English and studied the European-style curriculum. He was a devout Catholic and scrapped plans to become a Roman Catholic priest in the late 1870s. He worked for the commander of the French armed forces as an interpreter and took part in campaigns against anti-colonial rebels in the mountains of Tonkin during 1880. He rose to become a high-ranking Mandarin, the first headmaster of the National Academy in Huế (founded in 1896) and a counselor to Emperor Thành Thái under the French colonial regime. He was appointed minister of the rites and chamberlain and keeper of the eunuchs. Despite his collaboration with the French colonizers, Khả was "motivated less by Francophilia than by certain reformist ambitions". Like Phan Châu Trinh, Khả believed that independence from France could be achieved only after changes in Vietnamese politics, society and culture had occurred. In 1907, after the ouster of emperor Thành Thái, Khả resigned his appointments, withdrew from the imperial court, and became a farmer in the countryside. After the tragedy of his family, Khả decided to abandon preparation for the priesthood and married. After his first wife died childless, Khả remarried and had nine children—six sons and three daughters—by his second wife, Phạm Thị Thân. These were Ngô Đình Khôi, Ngô Đình Thị Giao, Ngô Đình Thục, Ngô Đình Diệm, Ngô Đình Thị Hiệp, Ngô Đình Thị Hoàng, Ngô Đình Nhu, Ngô Đình Cẩn, Ngô Đình Luyện. As a devout Roman Catholic, Khả took his entire family to Mass each morning and encouraged his sons to study for the priesthood. 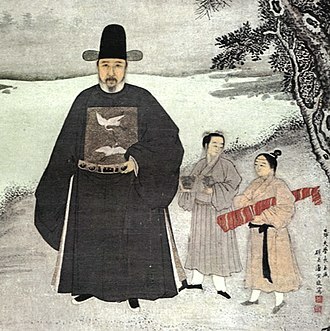 Having learned both Latin and classical Chinese, Khả strove to make sure his children were well educated in both Christian scriptures and Confucian classics. During his childhood, Diệm laboured in the family's rice fields while studying at a French Catholic primary school (Pellerin School) in Huế, and later entered a private school started by his father, where he studied French, Latin, and classical Chinese. At the age of fifteen he briefly followed his elder brother, Ngô Đình Thục, who would become Vietnam's highest-ranking Catholic bishop, into a monastery. Diệm swore himself to celibacy to prove his devotion to his faith, but found monastic life too rigorous and decided not to pursue a clerical career. According to Moyar, Diệm's personality was too independent to adhere to the discipline of the Church. Diem also inherited his father's antagonism toward the French colonialists who occupied his country. At the end of his secondary schooling at Lycée Quốc học, the French lycée in Huế, Diem's outstanding examination results elicited the offer of a scholarship to study in Paris. He declined and, in 1918, enrolled at the prestigious School of Public Administration and Law in Hanoi, a French school that prepared young Vietnamese to serve in the colonial administration. It was there that he had the only romantic relationship of his life, when he fell in love with one of his teacher's daughters. After she chose to persist with her vocation, entering a convent, he remained celibate for the rest of his life. Diệm's family background and education, especially Catholicism and Confucianism, had influences on his life and career, on his thinking on politics, society, and history. According to Miller, Diệm "displayed Christian piety in everything from his devotional practices to his habit of inserting references to the Bible into his speeches"; he also enjoyed showing off his knowledge of classical Chinese texts. After graduating at the top of his class in 1921, Diệm followed in the footsteps of his eldest brother, Ngô Đình Khôi, joining the civil service in Thừa Thiên as a junior official. Starting from the lowest rank of mandarin, Diệm steadily rose over the next decade. He first served at the royal library in Huế, and within one year was the district chief in both Thừa Thiên and nearby Quảng Trị province, presiding over seventy villages. Diệm was promoted to be a provincial chief (Tuần phủ) in Ninh Thuận at the age of 28, overseeing 300 villages. 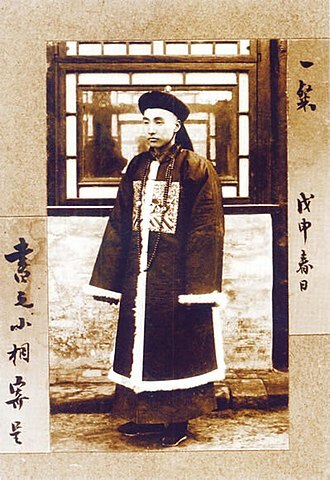 During his career as a mandarin, Diệm was known for his workaholism and incorruptibility, and as a Catholic leader and nationalist. Catholic nationalism in Vietnam during the 1920s and 1930s facilitated Diệm's ascent in his bureaucratic career. Diệm's rise was also facilitated through Ngô Đình Khôi's marriage to the daughter of Nguyễn Hữu Bài (1863–1935), the Catholic head of the Council of Ministers at the Huế court and also supported the indigenization of the Vietnamese Church and more administrative powers to the monarchy. Nguyễn Hữu Bài was highly regarded among the French, and Diệm's religious and family ties impressed him and he became Diệm's patron. The French were impressed by his work ethic but were irritated by his frequent calls to grant more autonomy to Vietnam. Diệm replied that he contemplated resigning but encouragement from the populace convinced him to persist. In 1925, he first encountered communists distributing propaganda while riding horseback through the region near Quảng Trị. Revolted by calls for violent socialist revolution contained in the propaganda leaflets, Diệm involved himself in anti-communist activities for the first time, printing his own pamphlets. In 1929, he was promoted to the governorship of Bình Thuận Province and was known for his work ethic. In 1930 and 1931, he helped the French suppress the first peasant revolts organized by the communists. 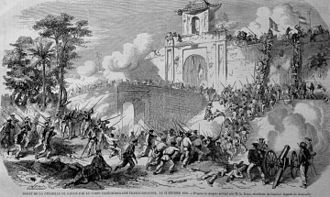 According to Fall, Diệm put the revolution down because he thought it could not sweep out the French, but might threaten the leadership of the mandarins. In 1933, with the ascension of Bảo Đại to the throne, Diệm accepted Bảo Đại's invitation to be his interior minister following lobbying by Nguyễn Hữu Bài. Soon after his appointment, Diệm headed a commission to advise on potential administration reforms. After calling for the French to introduce a Vietnamese legislature and many other political reforms, he resigned after three months in office when his proposals were rejected. Diệm denounced Emperor Bảo Đại as "nothing but an instrument in the hands of the French," and renounced his decorations and titles from Bảo Đại. The French then threatened him with arrest and exile. For the next decade, Diệm lived as a private citizen with his family in Huế, although he was kept under surveillance. He spent his time reading, meditating, attending church, gardening, hunting, and in amateur photography. Diệm also conducted extensive nationalist activities during those 21 years, engaging in meetings and correspondence with various leading Vietnamese revolutionaries, such as his friend, Phan Bội Châu, a Vietnamese anti-colonial activist, whom Diệm respected for his knowledge of Confucianism and argued that Confucianism's teachings could be applied to a modern Vietnam. With the start of the Second World War in the Pacific, seeing an opportunity for Vietnam to challenge French colonization, he attempted to persuade the Japanese forces to declare independence for Vietnam in 1942 but was ignored. Diệm also tried to establish relationships with Japanese diplomats, army officers, and intelligence operatives who supported Vietnam's independence. In 1943, Diệm's Japanese friends helped him to contact Prince Cường Để, an anti-colonial activist, who was in exile in Japan. After contacting Cường Để, Diệm formed a secret political party, the Association for the Restoration of Great Vietnam (Việt Nam Đại Việt Phục Hưng Hội), which was dominated by his Catholic allies in Hue. When its existence was discovered in the summer of 1944, the French declared Diệm to be a subversive and ordered his arrest. He flew to Saigon under Japanese military protection, staying there until the end of WWII. In 1945, after the coup against French colonial rule, the Japanese offered Diệm the post of prime minister in the Empire of Vietnam under Bảo Đại, which they organized on leaving the country. He declined initially, but reconsidered his decision and attempted to reverse the refusal. However, Bảo Đại had already given the post to Trần Trọng Kim. In September 1945, after the Japanese withdrawal, Hồ Chí Minh proclaimed the Democratic Republic of Vietnam, and in the Northern half of Vietnam, his Việt Minh began fighting the French. Diệm attempted to travel to Huế to dissuade Bảo Đại from joining Hồ, but was arrested by the Việt Minh along the way and exiled to a highland village near the border. He might have died of malaria, dysentery, and influenza had the local tribesmen not nursed him back to health. Six months later, he was taken to meet Hồ, who recognized Diệm's virtues and, wanting to extend the support for his new government, asked Diệm to be minister of the interior. Diệm refused to join the Việt Minh, assailing Hồ for the murder of his brother Ngô Đình Khôi by Việt Minh cadres. During the Indochina War, Diệm and other non-communist nationalists had to face a dilemma: they did not want to restore colonial rule and did not want to support the Việt Minh. Diệm proclaimed his neutrality and attempted to establish a Third Force movement that was both anti-colonialist and anti-communist In 1947, he became the founder and chief of the National Union Bloc (Khối Quốc Gia Liên Hiệp) and then folded it into the Vietnam National Rally (Việt Nam Quốc Gia Liên Hiệp), which united non-communist Vietnamese nationalists. He also established relationships with some leading Vietnamese anti-communists like Nguyễn Tôn Hoàn (1917–2001), a fellow Catholic and political activist. His other allies and advisors were dominated by Catholics, especially his family members and their friends. Diệm also secretly maintained contact with high-ranking leaders of the Democratic Republic of Vietnam, attempting to convince them to leave Hồ Chí Minh's government and join him. At the same time, he lobbied French colonial officials for a "true independence" for Vietnam, Diệm was disappointed when in June 1948, Bảo Đại signed an agreement to grant Vietnam status as an "associated state" within the French Union, which allowed France to maintain its diplomatic, economic, and military policies in Vietnam. In the meantime, the French had created the State of Vietnam and Diệm refused Bảo Đại's offer to become the Prime Minister. On 16 June 1949, he then published a new manifesto in newspapers proclaiming a third force different from Vietminh and Bảo Đại, but it raised little interest and further, his statement provided evidence to both the French and Việt Minh that Diệm was a dangerous rival. 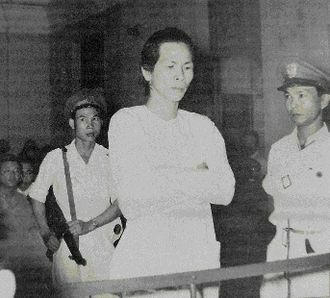 In 1950, the Việt Minh lost patience and sentenced him to death in absentia, and the French refused to protect him. Hồ Chí Minh's cadres tried to assassinate him while he was traveling to visit his elder brother Thục, bishop of the Vĩnh Long diocese in the Mekong Delta. Recognizing his political status, Diệm decided to leave Vietnam in 1950. According to Miller, during his early career, there were at least three ideologies which influenced Diệm's social and political views in the 1920s and 1930s. The first of these was Catholic nationalism, which Diệm inherited from his family's tradition, especially from Cardinal Ngô Đình Thục, his brother, and Nguyễn Hữu Bài, who advised him to "return the seal" in 1933 to oppose French policies. The second was Diệm's understanding of Confucianism, especially through his friendship with Phan Bội Châu who argued that Confucianism's teachings could be applied to a modern Vietnam. Lastly, instructed by Ngô Đình Nhu, Diệm began to examine Personalism, which originated from French Catholicism's philosophy and then applied this doctrine as the main ideology of his regime. Diệm applied for permission to travel to Rome for the Holy Year celebrations at the Vatican. After gaining French permission, he left in August 1950 with his older brother, Bishop Ngô Đình Thục. Before going to Europe, Diệm went to Japan, where he met with Prince Cường Để, his former ally, and discussed Cường Để's efforts to return to Vietnam and his capacity to play some roles in his homeland. Diệm's friend also managed to organize a meeting between him and Wesley Fishel, an American political science professor at the University of California, who was working for the CIA in Japan. Fishel was a proponent of the anti-colonial, anti-communist third force doctrine in Asia and was impressed with Diệm and helped him organize connections in the United States. In 1951, Diệm flew to the United States to seek the support of government officials. Nevertheless, Diệm was not successful in winning US support for Vietnamese anti-communists. In Rome, Diệm obtained an audience with Pope Pius XII at the Vatican before undertaking further lobbying across Europe. He also met with French and Vietnamese officials in Paris and sent a message indicating that he was willing to be the Prime Minister of the State of Vietnam to Bảo Đại. But Bảo Đại then refused to meet him. Diệm returned to the United States to continue building support among Americans. Nonetheless, to Americans, the fact that Diệm was an anti-communist was not enough to distinguish him from Bảo Đại and other State of Vietnam leaders. Some American officials worried that his devout Catholicism could hinder his ability to mobilize support in a predominantly non-Catholic country. Diệm recognized that concern and broadened his lobbying efforts to include a development focus in addition to anti-communism and religious factors. Diệm was motivated by the knowledge that the US was enthusiastic in applying their technology and knowledge to modernize postcolonial countries. With the help of Fishel, then at Michigan State University (MSU), Diệm was appointed as a consultant to MSU's Government Research Bureau. MSU was administering government-sponsored assistance programs for cold war allies, and Diệm helped Fishel to lay the foundation for a program later implemented in South Vietnam, the Michigan State University Vietnam Advisory Group. The Americans' assessments of Diệm were varied. Some were unimpressed with him, some admired him. Diệm gained favor with some high-ranking officials, such as Supreme Court Justice William O. Douglas, Roman Catholic cardinal Francis Spellman, Representative Mike Mansfield of Montana, and Representative John F. Kennedy of Massachusetts along with numerous journalists, academics, and the legendary spy chief of the CIA William J. Donovan. Although he did not succeed in winning official support from the US, his personal interactions with American political leaders promised the prospect of gaining more support in the future. Mansfield remembered after the luncheon with Diệm held on 8 May 1953, he felt that "if anyone could hold South Vietnam, it was somebody like Ngô Đình Diệm". 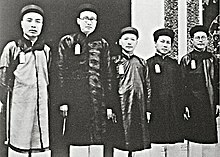 During Diệm's exile, his brothers Ngô Đình Nhu, Ngô Đình Cẩn, and Ngô Đình Luyện played important roles in helping him to build international and internal networks and support in different ways for his return to Vietnam. In the early 1950s, Nhu established the Cần Lao Party, which played a key role in helping Diệm attain and consolidate his power. 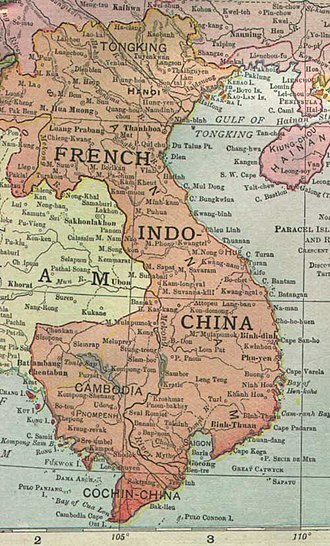 Until 1953, the State of Vietnam was nominally independent from Paris. Since dissatisfaction with France and Bảo Đại was rising among non-communist nationalists, and support from non-communist nationalists and Diệm's allies was rising for his "true independence" point of view, Diệm sensed that it was time for him to come to power in Vietnam. In early 1954, Bảo Đại offered Diệm the position of Prime Minister in the new government in Vietnam. In May 1954, the French surrendered at Điện Biên Phủ and the Geneva Conference began in April 1954. On 16 June 1954, Diệm met with Bảo Đại in France and agreed to be the Prime Minister if Bảo Đại would give him military and civilian control. On 25 June 1954, Diệm returned from exile, arriving at Tân Sơn Nhứt airport in Saigon. On 7 July 1954, Diệm established his new government with a cabinet of 18 people. On 21 July 1954, the Geneva accords temporarily partitioned Vietnam at the 17th parallel, pending elections in 1956 to reunify the country. The Democratic Republic of Vietnam controlled the north, while the French-backed State of Vietnam controlled the south with Diệm as the Prime Minister. Diệm criticized the French for abandoning North Vietnam to the Communists at Geneva, claimed that the terms did not represent the will of the Vietnamese people, and refused French suggestions to include more pro-French officials in the government. In the first period of his premiership, Diệm did not have much power in the government; he lacked control of the military and police forces, and the civil system's key positions were still held by French officials. He also could not control the Bank of Indochina. Besides, Diệm had to face massive obstacles: refugee issues; the French colonists wanting to remove Diệm to protect France's interest in South Vietnam; general Nguyễn Văn Hinh, a Francophile, the leader of National Army was ready to oust Diệm; the leaders of the Hòa Hảo and Cao Đài sectarian armies wanted positions in Diệm's cabinet and complete administrative control over the areas in which they had large numbers of followers; and the major threat of Bình Xuyên, an organized crime syndicate that controlled the National Police led by Lê Văn Viễn, whose power was focused in Saigon In summer 1954, the three organizations controlled approximately one-third of the territory and population of South Vietnam. In that situation, besides his own political skills, Diệm had to trust in his relatives and the backing of his American supporters to overcome the obstacles and neutralize his opponents. The Geneva accords allowed for freedom of movement between the two zones until October 1954; this put a large strain on the south. Diệm had only expected 10,000 refugees, but by August, there were more than 200,000 waiting for evacuation from Hanoi and Hải Phòng. Nevertheless, the migration helped to strengthen Diệm's political base of support. To deal with the refugee situation, Diem's government arranged for their relocation into fertile and under-populated provinces in the western Mekong Delta. The Diệm regime also provided them with food and shelter, farm tools, and housing material. The government also dug irrigation canals, built dikes, and dredged swamp-lands to help stabilise their lives. In August 1954, Diệm also had to face the "Hinh crisis" when Nguyễn Văn Hinh launched a series of public attacks on Diệm, proclaiming that South Vietnam needed a "strong and popular" leader. Hinh also bragged that he was preparing a coup. However, at the end of 1954, Diệm successfully forced Hinh to resign from his post. Hinh had to flee to Paris and hand over his command of the national army to general Nguyễn Văn Vỹ. But the National Army officers favoured Diệm's leadership over General Vỹ, which forced him to flee to Paris. Despite the failure of Hinh's alleged coup, the French continued to encourage Diệm's enemies in an attempt to destabilize him. On 31 December 1954, Diệm established the National Bank of Vietnam and replaced the Indochinese banknotes with new Vietnamese banknotes. In early 1955, although American advisors encouraged Diệm to negotiate with the leaders of the political-religious forces who threatened to overthrow his position and to forge an anti-communist bloc, he was determined to attack his enemies to consolidate his power. In April 1955, Diệm's army forces took most of Bình Xuyên's posts in Saigon after a victory in the Battle of Saigon. Within a few months, Diệm's troops wiped out the Bình Xuyên's remnants, leaving only a few small bands, who then joined forces with the communists. 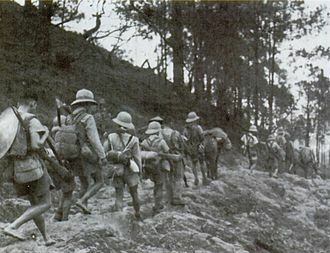 The failure of Bình Xuyên marked the end of French efforts to remove Diệm. After the defeat of Bình Xuyên, the authority and prestige of Diệm's government increased. Most of the Cao Đài leaders chose to rally to Diệm's government. Diệm then dismantled the private armies of the Cao Đài and Hòa Hảo religious sects. By the end of 1955, Diệm had almost taken control of South Vietnam, and his government was stronger than ever before. In April 1956, along with the capture of Ba Cụt, the leader of the last Hòa Hảo rebels, Diệm almost subdued all of his non-communist enemies, and could focus on his Vietnamese communist opponents. According to Miller, Diệm's capacity in subduing his enemies and consolidating his power strengthened US support of his government, although the US government had planned to withdraw its backing from Diệm during his early difficult years of leadership. In South Vietnam, a referendum was scheduled for 23 October 1955 to determine the future direction of the south, in which the people would choose Diệm or Bảo Đại as the leader of South Vietnam. During the election, Diệm's brother Ngô Đình Nhu and the Cần Lao Party supplied Diệm's electoral base in organizing and supervising the elections, especially the propaganda campaign for destroying Bảo Đại's reputation. Supporters of Bảo Đại were not allowed to campaign. Official results showed 98.2 per cent of voters favoured Ngô Đình Diệm, an implausibly high result that was condemned as fraudulent. The total number of votes far exceeded the number of registered voters by over 380,000, further evidence that the referendum was heavily rigged. For example, only 450,000 voters were registered in Saigon, but 605,025 were said to have voted for Diệm. On 26 October 1955, Diệm proclaimed the formation of the Republic of Vietnam, with himself as its first President, although only until 26 October 1956. The first Constitution provided articles to establish the republic and organize the election of its president. 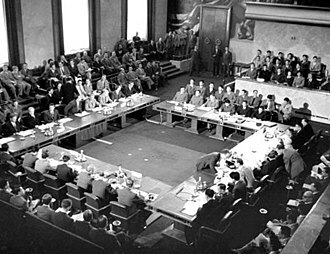 The 1954 Geneva Accords prescribed elections to reunify the country in 1956. Diệm refused to hold these elections, claiming that a free election was not possible in the North. According to Taylor, Diệm's rejection of the Geneva accords was a way of objecting to the French colonization of Vietnam. Diệm's disposition of Bảo Đại and the establishment of the First Republic of Vietnam was a way to claim Vietnamese independence from France. At the same time, the first Constitution of the Republic of Vietnam was promulgated. According to the Constitution, Diệm had almost absolute power over South Vietnam. His governance style became increasingly dictatorial over time. The Can Lao Party played a key role in Diệm's regime. Initially, the party acted secretly based on a network of cells, and each member only knew the identities of a few other members. When necessary, the Party could assume the role of the government. After 1954, the existence of the party was recognized, but its activities were hidden from public view. In the early 1950s, Diệm and Nhu used the party to mobilize support for Diệm's political movements. According to the decree 116/BNV/CT of the Republic of Vietnam, the Can Lao Party was established on 2 September 1954. Personalism (Vietnamese: Chủ nghĩa nhân vị) officially became the basic doctrine of Diệm's regime since the Constitution's preface declared that "Building Politics, Economy, Society, Culture for the people based on respecting Personalism". According to Miller, democracy, to Diệm, was rooted in his dual identity as Confucian and Catholic, and was associated with communitarianism and the doctrine of Personalism. 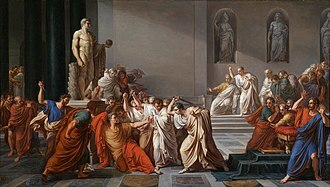 He defined democracy as "a social ethos based on certain sense of moral duty", not in the US sense of "political right" or political pluralism and in the context of an Asian country like Vietnam, Confucian values were relevant to deal with contemporary problems in politics, governance, and social change. In this sense, Diệm was not a reactionary mandarin lacking an interest in democracy as he has been portrayed by some scholars. His way of thinking about democracy became a key factor of his approach to political and administrative reform. On 4 March 1956, the elections for the first RVN National Assembly were held in a more free and fair manner than the 1955 referendum. However, Diệm's regime of "democratic one man rule" faced increasing difficulties. After coming under pressure from within Vietnam and from the United States, Diệm agreed to hold legislative elections in August 1959 for South Vietnam. But in reality, newspapers were not allowed to publish names of independent candidates or their policies, and political meetings exceeding five people were prohibited. Candidates who ran against government-supported opponents faced harassment and intimidation. In rural areas, candidates who ran were threatened using charges of conspiracy with the Việt Cộng, which carried the death penalty. Phan Quang Đán, the government's most prominent critic, was allowed to run. Despite the deployment of 8,000 ARVN plainclothes troops into his district to vote, Đán still won by a ratio of 6–1. The busing of soldiers occurred across the country, and when the new assembly convened, Đán was arrested. In May 1961, U.S. Vice President Lyndon B. Johnson visited Saigon and enthusiastically declared Diệm the "Winston Churchill of Asia." Asked why he had made the comment, Johnson replied, "Diệm's the only boy we got out there." Johnson assured Diệm of more aid in molding a fighting force that could resist the communists. During his presidency, Diệm imposed programs to reform Saigon society in accordance with Catholic and Confucian values. Brothels and opium dens were closed, divorce and abortion were made illegal, and adultery laws were strengthened. Besides, Diệm's government established many schools and universities, such as the National Technical Center at Phú Thọ in 1957, the University of Saigon (1956), the University of Hue (1957), and the University of Dalat (1957) Diệm also paid attention to the preservation of Vietnamese traditional culture. Diệm restored and organized some traditional festivals, such as Hung kings ancestor festival (No, but on the contrary, Ngo Dinh Diệm during his nine years in power did not allow any celebration of the Hung kings, the Vietnam National founding fathers, and), The Trưng sisters festival ... According to Diệm, the values of traditional culture, along with Catholic and Confucian values were powerful in the fight against Materialism. Regarding economic development, Diệm and Nhu, in the political program of the Can Lao party and National Revolutionary Movement, pointed out the key factors of the RVN economy: a developed and independent economy, support for local capitalists, stabilized currency and reduced budget deficits; enhanced building infrastructure to meet military needs and create a prosperous South Vietnam. In 1957, Diệm's government suggested the 5-year plan (1957–1961), which aimed at expanding cultivated area to 20 percent and improving agricultural production to 25%, restoring exploitative industry and developing infrastructure. On 31 December 1955, Diệm promulgated Decree 48 on RVN independence on currency and banknotes (This is not in accordance with the first sentence of the last paragraph under "Being Prime Minister and consolidation of power" subtitle, with ref 54). Diệm's government also encouraged the development of handicrafts, industry, and commerce. 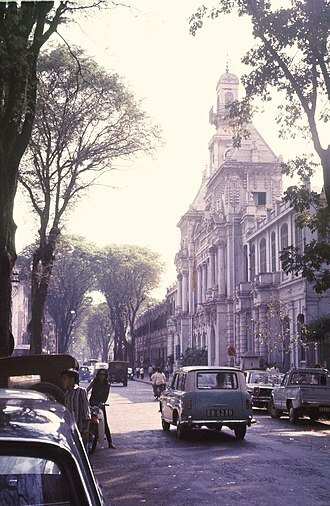 In October 1957, Diệm established the Center for Technological Development for Investment, Instruction, and Cooperation and supported private technological activities to gradually diminish the role of foreign capitalists, especially French capitalists in industry and to enhance the role of indigenous capitalists in the RVN economy. In 1961, Diệm suggested the second 5-year plan (1962–1966) to continue the first 5-year plan. During the first Republic of Vietnam, some indigenous industrial zones or factories were founded, such as the Cogido paper factory in An Hảo (1961), Vinatexco and Vimytex textile factories, the Khánh Hội glassware factory, the Hà Tiên and Thủ Đức cement factories, the Đa Nhim hydroelectric facility (1961), Đà Lạt nuclear research centre (1963), and the Biên Hòa industrial zone (1963). During 1956–1960, Diệm built a relatively stable RVN with a stable economy along with development of infrastructure and people's standards of living due to export of home comforts. Nevertheless, Diệm also admitted the dependence of RVN's economy on US assistance: "Today, the country is not self-sufficient. We can say that foreign assistance is a kind of compensation for the services our people have provided to the free world to protect SEA market, and to fight against manipulations of international communism". During Diệm's reign, the Commissariat General for Civic Action (Vietnamese: Công Dân vụ) was established in March 1955 to "improve the intellectual level of the rural population and to raise the standard of living in rural areas in view to setting up a democratic basis and to promote a rural and material rearmament among the people". The Civic Action was considered a practical tool of Diệm's government to serve "the power vacuum" and make a rural influence for Diệm's government in countryside due to the departure of Việt Minh cadres after the Geneva Accords (1954). Steward's study provides a clearer picture of Diệm's domestic policies and a further understanding of his government's efforts in reaching and connecting with local communities in South Vietnam that shows "an indigenous initiative" of South Vietnam government in building an independent and viable nation. Land Reform: In South Vietnam, especially in Mekong Delta, landholdings in rural areas were concentrated in small number of rich landlord families. Thus, it was urgent to implement land reform in South Vietnam. Diệm had two attempts to control the excesses of the land tenancy system by promulgating the Ordinance 2 on 28 January 1955 to reduce land rent between 15% to 25% of the average harvest and the Ordinance 7 on 5 February 1955 to protect the rights of tenants on new and abandoned land and enhancing cultivation. In October 1956, with the urge from Wolf Ladejinsky, Diệm's personal adviser on agrarian reform, Diệm promulgated a more serious ordinance on the land reform, in which he proclaimed a "land to the tiller" (not to be confused with other Land reform in South Vietnam like Nguyễn Văn Thiệu's later 'Land to the Tiller" program) program to put a relatively high 100 hectares limit on rice land and 15 hectares for ancestral worship. However, this measure had no real effect because many landlords evaded the redistribution by transferring the property to the name of family members. Besides, during the 1946–54 war against the French Union forces, the Việt Minh had gained control of parts of southern Vietnam, initiated land reform, confiscated landlords' land and distributed it to the peasants. Additionally, the ceiling limit was more than 30 times that allowed in Japan, South Korea, and Taiwan, and the 370,000 acres (1,500 km2) of the Catholic Church's landownings in Vietnam were exempted. The political, social, and economic influences of the land reform was minimal. From 1957 to 1963, only 50 percent of expropriated land was redistributed, and only 100,000 out of approximately one million tenant farmers in South Vietnam benefited from the reform. Resettlement: According to Miller, Diệm, who described tenant farmer as "real proletariat" and pursued the goal of "middle peasantization", was not a beholden of large landowners, instead of vigorously implementing Land Reform, Diệm had his own vision in Vietnamese rural development based on resettlement, which focused on redistribution of people (rather than land), could reduce overpopulation and lead to many benefits in socio-economic transformation as well as military affairs and security, especially anti-communist infiltration. Moreover, Diệm was ambitious to envision Resettlement as a tactic to practice the government's ideological goals. The US and Diệm's differences over nation building in countryside shaped the clashes in their alliance. The Cái Sắn resettlement project: In late 1955, with the help of US material support and expertise, Diệm's government implemented the project Cái Sắn in An Giang province, which aimed to resettle one hundred thousand northern refugees. Land Development program (Khu dinh điền): In early 1957, Diệm started a new program called the Land Development to relocate poor inhabitants, demobilized soldiers, and minority ethnic groups in central and southern Vietnam into abandoned or unused land in Mekong Delta and Central Highland, and cultivating technological and scientific achievements to transform South Vietnam and ensure security and prevent communist infiltration. Diệm believed that the program would help improve civilians' lives, teach them the values of being self-reliant and hard working. At the end of 1963, the program had built more than two hundred settlements for a quarter of a million people. Nevertheless, the lacks of conditions in these areas along with the corruption and mercilessness of local officials failed the program. Agroville program (khu trù mật): During late 1959 and early 1960, motivated by the idea of population regroupment, Diệm introduced the Agroville Program, which he intended to physically relocate residents who lived in remote and isolated regions in Mekong delta into new settlements in "dense and prosperous areas"—proposing to offer them urban modernity and amenities without leaving their farms, and to keep them far away from the communists. Nonetheless, by late 1960, Diệm had to admit that the program's objective failed since the residents were not happy with the program and the communists infiltrated the program, and he had to discard it. According to Miller, The US and Diệm's disagreement in their approaches to agrarian reform in countryside made their alliance "moved steadily from bad to worse". During his presidency, Diệm strongly focused on his central concern: internal security to protect his regime as well as maintain order and social change: staunch anti-subversion and anti-rebellion policies. After the Bình Xuyên was defeated and the Hòa Hảo, Cao Đài were subdued, Diệm concentrated on his most serious threat: the communists. Diệm's main measures for internal security were threats, punishment and intimidation. According to Gabriel Kolko about 12,000 suspected opponents of Diệm were killed between 1955 and 1957 and by the end of 1958 an estimated 40,000 political prisoners had been jailed. At the end of 1959, Diệm was able to entirely control each family and the communists had to suffer their "darkest period" in their history. The number of membership declined by two thirds and had almost no power in the countryside of South Vietnam. Diệm's repression extended beyond communists to anti-communist dissidents and anti-corruption whistleblowers. In 1956, after the "Anti-Communist Denunciation Campaign", Diệm issued Ordinance No. 6, which placed anyone who was considered a threat to the state and public order in jail or house arrest. Nevertheless, Diệm's hard policies led to fear and resentment in many quarters in South Vietnam and negatively affected his relations with the US in terms of counter-insurgent methods. On 22 February 1957, when Diệm delivered a speech at an agricultural fair in Buôn Ma Thuột, a communist cadre named Hà Minh Tri attempted to assassinate the president. He approached Diệm and fired a pistol from close range, but missed, hitting the Secretary for Agrarian Reform's left arm. The weapon jammed and security overpowered Tri before he was able to fire another shot. Diệm was unmoved by the incident. 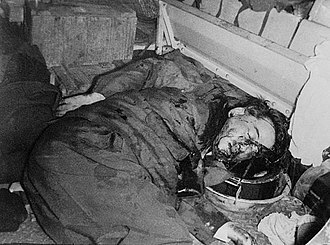 The assassination was the response of the desperation of the communists to Diệm's relentless anti-communist policies. As opposition to Diệm's rule in South Vietnam grew, a low-level insurgency began to take shape there in 1957. Finally, in January 1959, under pressure from southern Viet Cong cadres who were being successfully targeted by Diệm's secret police, Hanoi's Central Committee issued a secret resolution authorizing the use of armed insurgency in the South with supplies and troops from the North. On 20 December 1960, under instructions from Hanoi, southern communists established the Viet Cong (NLF) in order to overthrow the government of the south. On 11 November 1960, "a failed coup attempt against President Ngô Đình Diệm of South Vietnam was led by Lieutenant Colonel Vương Văn Đông and Colonel Nguyễn Chánh Thi of the Airborne Division of the Army of the Republic of Vietnam (ARVN)". There was a further attempt to assassinate Diệm and his family in February 1962 when two air force officers—acting in unison—bombarded the Presidential Palace. In 1962, the cornerstone of Diệm's counterinsurgency effort – the Strategic Hamlet Program (Vietnamese: Ấp Chiến lược), "the last and most ambitious of Diem's government's nation building schemes", was implemented, calling for the consolidation of 14,000 villages of South Vietnam into 11,000 secure hamlets, each with its own houses, schools, wells, and watchtowers supported by South Vietnamese government. The hamlets were intended to isolate the National Liberation Front (NLF) from the villages, their source for recruiting soldiers, supplies, and information, and to transform the countryside. In the end, because of many shortcomings, the Strategic Hamlet Program was not as successful as had been expected and was cancelled after the assassination of Diệm. However, according to Miller, the Strategic Hamlet Program created a remarkable turnabout in Diệm's regime in their war against communism. Many historians have claimed that Diệm's religious policies favored Catholics and that he persecuted many Buddhists. The distribution of weapons to village self-defense militias intended to repel Việt Cộng guerrillas saw weapons only given to Catholics. Some Buddhist villages converted en masse to Catholicism in order to receive aid or to avoid being forcibly resettled by Diệm's regime. 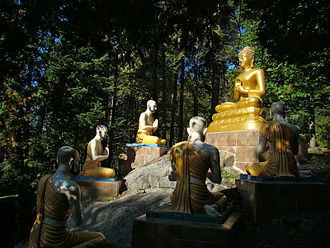 The Catholic Church was the largest landowner in the country, and the "private" status imposed on Buddhism by the French required official permission to conduct public Buddhist activities and was never repealed by Diệm. Catholics were also de facto exempt from the corvée labor that the government obliged all citizens to perform; US aid was disproportionately distributed to Catholic majority villages. Nonetheless, Diệm had contributed to Buddhist communities in South Vietnam by giving them permission to carry out activities that were banned by French and supported money for Buddhist schools, ceremonies, and building more pagodas. Among the eighteen members of Diệm's cabinet, there were five Catholics, five Confucians, and eight Buddhists, including a vice-president and a foreign minister. Only three of the top nineteen military officials were Catholics. If Diệm's government has always denied any allegation of persecution against Buddhists and presented these immolations and revolts as the fruit of infiltration of communist guerrillas disguised as bonzes; some French-Vietnamese authors support this thesis of infiltration, which then empowered a large instrumentalization of these disorders by the American and North Vietnamese propaganda in order to destabilize and demonize the South Vietnamese government. Police raids have enabled the South Vietnamese authorities to find out presence of war's weapons in a number of pagodas, resulting in the closure of 12 of them. The regime's relations with the United States worsened during 1963, as discontent among South Vietnam's Buddhist majority was simultaneously heightened. In May, in the heavily Buddhist central city of Huế, where Diệm's elder brother was the Catholic Archbishop, the Buddhist majority was prohibited from displaying Buddhist flags during Vesak celebrations commemorating the birth of Gautama Buddha when the government cited a regulation prohibiting the display of non-government flags. A few days earlier, however, a Catholic flag flew at the 25th commemoration for Ngô Đình Thục's elevation to the rank of bishop. According to Miller, Diệm then proclaimed the flag embargo because he was annoyed with the commemoration for Thục. However, the ban on religious flag led to a protest led by Thích Trí Quang against the government, which was suppressed by Diệm's forces, and unarmed civilians were killed in the clash. Diệm and his supporters blamed the Việt Cộng for the deaths and claimed the protesters were responsible for the violence. Although the provincial chief expressed sorrow for the killings and offered to compensate the victims' families, they resolutely denied that government forces were responsible for the killings and blamed the Viet Cong. According to Diệm, it was the communists who threw a grenade into the crowd. The Buddhists pushed for a five-point agreement: freedom to fly religious flags, an end to arbitrary arrests, compensation for the Huế victims, punishment for the officials responsible, and religious equality. Diệm then banned demonstrations and ordered his forces to arrest those who engaged in civil disobedience. On 3 June 1963, protesters attempted to march towards the Từ Đàm pagoda. Six waves of ARVN tear gas and attack dogs failed to disperse the crowds. Finally, brownish-red liquid chemicals were doused on praying protesters, resulting in 67 being hospitalised for chemical injuries. A curfew was subsequently enacted. The turning point came in June when a Buddhist monk, Thích Quảng Đức, set himself on fire in the middle of a busy Saigon intersection in protest of Diệm's policies; photos of this event were disseminated around the world, and for many people these pictures came to represent the failure of Diệm's government. A number of other monks publicly self-immolated, and the US grew increasingly frustrated with the unpopular leader's public image in both Vietnam and the United States. Diệm used his conventional anti-communist argument, identifying the dissenters as communists. As demonstrations against his government continued throughout the summer, the special forces loyal to Diệm's brother, Nhu, conducted an August raid of the Xá Lợi pagoda in Saigon. Pagodas were vandalised, monks beaten, and the cremated remains of Quảng Đức, which included his heart, a religious relic, were confiscated. Simultaneous raids were carried out across the country, with the Từ Đàm pagoda in Huế looted, the statue of Gautama Buddha demolished, and the body of a deceased monk confiscated. When the populace came to the defense of the monks, the resulting clashes saw 30 civilians killed and 200 wounded. In all 1,400 monks were arrested, and some thirty were injured across the country. The United States indicated its disapproval of Diệm's administration when ambassador Henry Cabot Lodge Jr. visited the pagoda. No further mass Buddhist protests occurred during the remainder of Diệm's rule (which would amount to less than five months). Madame Nhu Trần Lệ Xuân, Nhu's wife, inflamed the situation by mockingly applauding the suicides, stating, "If the Buddhists want to have another barbecue, I will be glad to supply the gasoline." The pagoda raids stoked widespread public disquiet in Saigon. Students at Saigon University boycotted classes and rioted, which led to arrests, imprisonments, and the closure of the university; this was repeated at Huế University. When high school students demonstrated, Diệm arrested them as well; over 1,000 students from Saigon's leading high school, most of them children of Saigon civil servants, were sent to re-education camps, including, reportedly, children as young as five, on charges of anti-government graffiti. Diệm's foreign minister Vũ Văn Mẫu resigned, shaving his head like a Buddhist monk in protest. When he attempted to leave the country on a religious pilgrimage to India, he was detained and kept under house arrest. There have been many interpretations of the Buddhist crisis and the immolation of Thích Quảng Đức in 1963. Relating the events to the larger context of Vietnamese Buddhism in the twentieth century and looking at the interactions between Diệm and Buddhist groups, the Buddhist protests during Diệm's regime were not only the struggles for discrimination in religious practices and religious freedom, but also the resistance of Vietnamese Buddhism to Diệm's nation building policies centered by Personalist revolution that Buddhists considered a threat to the revival of Vietnamese Buddhist power. Until the end of his life, Diệm, along with his brother Nhu still believed that their nation building was successful and they could resolve the Buddhist crisis in their own way, like what they had done with the Hinh crisis in 1954 and the struggle with the Bình Xuyên in 1955. 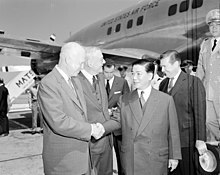 The foreign policy of the Republic of Vietnam (RVN), according to Fishel, "to a very considerable extent", was the policy of Ngo Dinh Diem himself during this period. 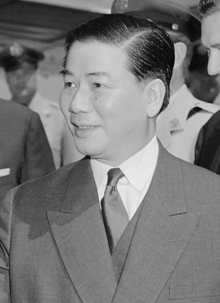 He was the decisive factor in formulating foreign policies of RVN, besides the roles of his adviser – Ngô Đình Nhu and his foreign ministers: Trần Văn Độ (1954–1955), Vũ Văn Mẫu (1955–1963) and Phạm Đăng Lâm (1963) who played subordinate roles in his regime. Nevertheless, since Diệm had to pay much attention to domestic issues in the context of the Vietnam War, foreign policies did not receive appropriate attention from him. Diệm paid more attention to countries that affected Vietnam directly and he seemed to personalize and emotionalize relations with other nations. The issues Diệm paid more attention in foreign affairs were: the Geneva Accords, the withdrawal of the French, international recognition and the cultivation of legitimacy of RVN and the relations with the United States, Laos (good official relations) and Cambodia (complicated relations, especially in border disputes, minority ethnics), and especially North Vietnam. Besides, RVN also focused on the diplomatic relations with other Asian countries to secure its international recognition. Regarding the relations with Democratic Republic of Vietnam, Diệm maintained total hostility and never had serious effort to establish any relations with them. In relations with France, as an anti-colonialism nationalist, Diệm did not believe in France and France was always a negative factor in his foreign policy. He also never "looked up on France as a counterweight to American influence". Concerning relations with the US, although Diệm admitted the importance of the US-RVN alliance, he perceived that the US's assistance to RVN was primarily serving its own national interest, rather than the RVN's. Keith Taylor adds that Diệm's distrust of the US grew because of its Laotian policy, which gave North Vietnam access to South Vietnam's border through southern Laos. Diệm also feared the escalation of American military personnel in South Vietnam, which threatened his nationalist credentials and the independence of his government. In early 1963, the Ngô brothers even revised their alliance with the US. Moreover, they also disagreed with the US on how to best react to the threat from North Vietnam. While Diệm believed that before opening the political system for the participation of other political camps, military, and security matters should be taken into account; the US wanted otherwise and was critical of Diệm's clientelistic government, where political power based on his family members and trusted associates. The Buddhist crisis in South Vietnam decreased American confidence in Diệm, and eventually led to the coup d'état sanctioned by the US. Ultimately, nation-building politics "shaped the evolution and collapse of the US-Diem alliance". The different visions in the meanings of concepts – democracy, community, security, and social change – were substantial, and were a key cause of the strains throughout their alliance. As the Buddhist crisis deepened in July 1963, non-communist Vietnamese nationalists and the military began preparations for a coup. Bùi Diễm, later South Vietnam's Ambassador to the United States, reported in his memoirs that General Lê Văn Kim requested his aid in learning what the United States might do about Diệm's government. 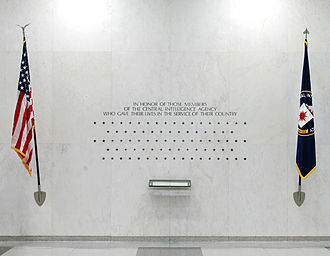 Diễm had contacts in both the embassy and with the high-profile American journalists then in South Vietnam, David Halberstam (New York Times), Neil Sheehan (United Press International), and Malcolm Browne (Associated Press). 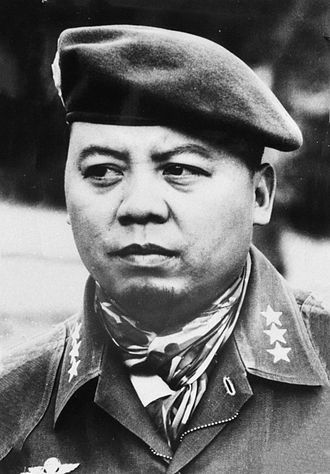 The coup d'état was designed by a military revolutionary council including ARVN generals led by General Dương Văn Minh. Lucien Conein, a CIA operative, had become a liaison between the US Embassy and the generals, who were led by Trần Văn Đôn. They met each other for the first time on 2 October 1963 at Tân Sơn Nhất airport. Three days later, Conein met with General Dương Văn Minh to discuss the coup and the stance of the US towards it. 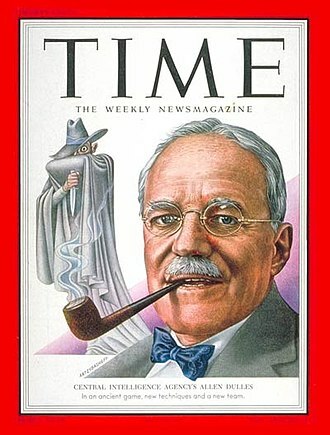 Conein then delivered the White House's message of American non-intervention, which was reiterated by Henry Cabot Lodge Jr., the US ambassador, who gave secret assurances to the generals that the United States would not interfere. The coup was chiefly planned by the Vietnamese generals. Unlike the coup in 1960, the plotters of the 1963 coup knew how to gain broad support from other ARVN officer corps. They obtained the support of General Tôn Thất Định, General Đỗ Cao Trí, General Nguyễn Khánh, and the I Corps and II Corps Commanders. Only General Huỳnh Văn Cao of IV Corps remained loyal to Diệm. On 1 November 1963, Minh and his co-conspirators overthrew the government in a swift coup. With only the palace guard remaining to defend Diệm and his younger brother Nhu, the generals called the palace offering Diệm exile if he surrendered. That evening, however, Diệm and his entourage escaped via an underground passage to Cha Tam Catholic Church in Cholon, where they were captured the following morning, 2 November. The brothers were assassinated together in the back of an M113 armoured personnel carrier with a bayonet and revolver by Captain Nguyễn Văn Nhung, under orders from Minh given while en route to the Vietnamese Joint General Staff headquarters. Diệm was buried in an unmarked grave in a cemetery next to the house of the US Ambassador. The consequences of the 1 November coup d'état will be contrary to the calculations of the US imperialists ... Diệm was one of the strongest individuals resisting the people and Communism. Everything that could be done in an attempt to crush the revolution was carried out by Diệm. Diệm was one of the most competent lackeys of the US imperialists ... Among the anti-Communists in South Vietnam or exiled in other countries, no one has sufficient political assets and abilities to cause others to obey. Therefore, the lackey administration cannot be stabilized. The coup d'état on 1 November 1963 will not be the last. After Diệm's assassination, South Vietnam was unable to establish a stable government and several coups took place after his death. While the United States continued to influence South Vietnam's government, the assassination bolstered North Vietnamese attempts to characterize the South Vietnamese as "supporters of colonialism". Diệm's assassination led to the collapse of his regime and the end of the first Republic of Vietnam. Nevertheless, Diệm's contribution over his nine years of power from 1954 to 1963 can be appreciated at many levels due to his part in resolving the northern refugees issue, establishing and consolidating the power of his regime, subduing the sects, and pacifying the country, Diệm stabilised an independent South Vietnam that had suffered in the first Indochina war and built a relatively stable government in Saigon during the late 1950s. The normalcy and domestic security created conditions for economic recovery and development of education in South Vietnam, which contributed educated human resources to serve the nation. Many universities were established during Diệm's presidency, such as: Huế University, Đà Lạt University, University of Pedagogy, the University of Saigon, University of Agriculture and Forestry, Medical University of Huế, and the National Institute of Administration, which applied the methods of European and American-style vocational schools, contributing to education in the Republic of Vietnam. ^ British Pathé – "New York Hails Vietnam's President Diem (1957)"
^ Miller, Edward (2013). Misalliance: Ngo Dinh Diem, the United States, and the Fate of South Vietnam. Harvard University Press. pp. 13–18. ^ Fall, Bernard B. (1963). The Two Viet-Nams. Praeger Publishers, p. 235. ^ Jacobs, Seth (2006) [Not true: https://vi.wikipedia.org/wiki/Ngô_Đình_Khả Archived 7 April 2017 at the Wayback Machine, under Thân Thế (biography): sau khi bố mất vì bị bệnh (khi ấy ông khoảng 6 tuổi) được một linh mục người Pháp đưa về nuôi cho ông học Nho học: after his (Ngô Đình Khả's) father died of disease (when he/Khả was 6 years old), a French priest took care of him, nourished and had him learn Chinese characters ...] Cold War Mandarin: Ngo Dinh Diem and the Origins of America's War in Vietnam, 1950–1963. Lanham, Maryland: Rowman & Littlefield, p. 18. ^ Moyar, Mark (2006). Triumph Forsaken: The Vietnam War, 1954–1965. New York: Cambridge University Press. p. 12. ^ a b c Jacob, p. 19. ^ a b c d e f g Fall, p. 239. ^ a b Jacob, p. 20. ^ Lockhart, Bruce McFarland, Bruce McFarland (1993). The end of the Vietnamese monarchy. Council on Southeast Asia Studies, Yale Center for International and Area Studies. pp. 68–86. ^ a b Miller, p. 30. ^ Trần, Mỹ Vân (2005). Vietnamese royal in Exile: Prince Cường Để (1882–1951), Routledge, pp. 32–67. ^ Keith, Charles (2012). Catholic Vietnam: A Church from Empire to Nation. University of California Press, p. 212. ^ Trần Mỹ Vân, pp. 213–214. ^ Morgan, Joseph. The Vietnam Lobby. pp. 1–14. ^ Oberdorfer, Don (2003). Senator Mansfiled: the Extraordinary Life of a Great American Statesman and Diplomat. Washington, DC. p. 77. ^ Cao, Văn Luận (1972). 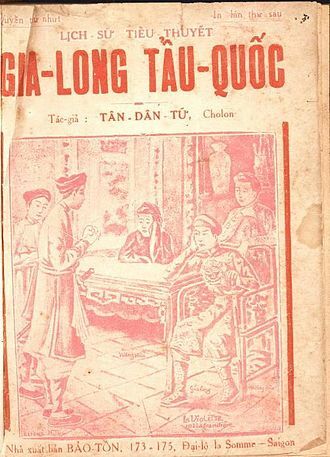 Bên giòng lịch sử, 1940–1965. Sài Gòn - Trí Dũng. pp. 180–189. ^ Chapman, Jessica (2013). Cauldron of resistance: Ngo Dinh Diem, the United States, and 1950s southern Vietnam. Ithaca: Cornell University Press. p. 69. ^ a b Chapman, p. 84. ^ a b Jacobs, p. 95. ^ Nguyễn, Xuân Hoài (2011). Chế độ Việt Nam cộng hòa ở miền Nam Việt Nam giai đoạn 1955–1963 Republic of Vietnam regime in South Vietnam (1955–1963), Dissertation. Ho Chi Minh city: University of Social Sciences and Humanities – Ho Chi Minh city. pp. 43–47. ^ Jacobs, Seth (24 July 2006). Cold War Mandarin: Ngo Dinh Diem and the Origins of America's War in Vietnam, 1950–1963. Rowman & Littlefield Publishers. pp. 123–125. ISBN 9780742573956. Archived from the original on 21 February 2018. ^ Kolko, Gabriel (1987). Vietnam: Anatomy of a War, 1940–1975. Unwin Paperbacks, p. 89. ^ Years of the Ngo Dinh Diem administration, p. 455. ^ Nguyễn Xuân Hoài, pp. 141–42. ^ Nguyễn Xuân Hoài, pp. 130–36. ^ Nguyễn Xuân Hoài, pp. 136–39. ^ Stewart, G. C. (2011). "Hearts, Minds and Cong Dan Vu: The Special Commissariat for Civic Action and Nation Building in Ngô Đình Diệm's Vietnam, 1955–1957". Journal of Vietnamese Studies. 6 (3): 44. ^ Trần, Quang Minh (2014). A Decade of Public Service: Nation Building during the Interregnum and Second Republic (1964–1975) in Voices from the second Republic of Vietnam (1967–1975), edited by Keith Taylor. New York: Southeast Asia Program Publications. p. 54. ISBN 9780877277958. ^ Young, Marilyn B. (1991). The Vietnam Wars. New York: HarperPerennial. pp. 56–57. ISBN 0-06-016553-7. ^ Trần Quang Minh, p. 53. ^ Trần Quang Minh, p. 54. ^ a b c d e Miller, pp. 165–84. ^ Jacob, p. 90; Moyar, pp. 85–86. ^ a b (in French) Ngo-Dinh Quynh, Ngo-Dinh Le Quyen, Jacqueline Willemetz, La République du Viet-Nam et les Ngo-Dinh, Paris 2013, p. 62 to 69. ^ William Henderson; Wesley R. Fishel (1966). "The Foreign Policy of Ngo Dinh Diem". Vietnam Perspectives. 2 (1): 4. ^ a b William Henderson and Wesley R. Fishel, p. 5. ^ "William Henderson and Wesley R. Fishel": 22. ^ a b c Years of Ngô Đình Diệm administration. p. 155. ^ William Henderson and Wesley R. Fishel, pp. 23–24. ^ Years of Ngô Đình Diệm administration. pp. 156–57. ^ William Henderson and Wesley R. Fishel, p. 9. ^ a b c Taylor, p. 3. ^ a b Miller. pp. 253–60. ^ a b Miller, p. 312. Cao, Văn Luận (1972). Bên giòng lịch sử, 1940–1965. Trí Dũng, Sài Gòn. Chapman, J. M. (2013). Cauldron of resistance: Ngo Dinh Diem, the United States, and 1950s southern Vietnam. Ithaca: Cornell University Press. Diem, Bui (1987). In the Jaws of History. Houghton Mifflin. Fall, Bernard B. (1967). The Two Viet-Nams. Praeger Publishers. Henderson, William and Fishel, Wesley R. (1966). "The Foreign Policy of Ngo Dinh Diem". Vietnam Perspectives, Vol. 2, No. 1. Kolko, Gabriel (1987). Vietnam: Anatomy of a War, 1940–1975. Unwin Paperbacks. Morgan, Joseph (1997). The Vietnam Lobby: The American friends of Vietnam 1955–1975. University of North Carolina Press. Nguyễn, Xuân Hoài (2011). Chế độ Việt Nam cộng hòa ở miền Nam Việt Nam giai đoạn 1955–1963 (Republic of Vietnam regime in South Vietnam (1955–1963), Dissertation. Ho Chi Minh city: University of Social Sciences and Humanities – Ho Chi Minh city. Republic of South Vietnam (1961), Seven years of the Ngo Dinh Diem administration (1954–1961). Taylor, Keith (2014), edition, Voices from the second Republic of Vietnam (1967–1975). New York: Southeast Asia Program Publications. Stewart, G. C. (2011). Hearts, Minds and Cong Dan Vu: The Special Commissariat for Civic Action and Nation Building in Ngô Đình Diệm's Vietnam, 1955–1957. Journal of Vietnamese Studies, 6(3). Young, Marilyn B. (1991). The Vietnam Wars. New York: Harper Perennial. Fitzgerald, Frances (1972). Fire in the Lake: The Vietnamese and Americans in Vietnam. Boston: Little, Brown and Company. ISBN 0-316-15919-0. Gettleman, Marvin E. (1966). Vietnam: History, Documents, and Opinions on a Major World Crisis. Harmondsworth, Middlesex: Penguin Books. Keith, Charles (2012). Catholic Vietnam: A Church from Empire to Nation. University of California Press. Lockhart, Bruce McFarland, Bruce McFarland (1993). The end of the Vietnamese monarchy. Council on Southeast Asia Studies, Yale Center for International and Area Studies. Maclear, Michael (1981). Vietnam: The Ten Thousand Day War. New York: Methuen Publishing. ISBN 0-423-00580-4. Mann, Robert (2001). A Grand Delusion: America's Descent into Vietnam. New York: Perseus. ISBN 0-465-04370-4. Olson, James S. (1996). Where the Domino Fell. St. Martin's Press. ISBN 0-312-08431-5. Reeves, Richard (1994). President Kennedy: Profile of Power. New York: Simon & Schuster. ISBN 0-671-89289-4. Shaw, Geoffrey (2015). The Lost Mandate of Heaven: the American betrayal of Ngo Dinh Diem, President of Vietnam. San Francisco: Ignatius Press. ISBN 1586179357. Sheehan, Neil (1989). A Bright Shining Lie. New York: Vintage Books. ISBN 978-0-679-72414-8. Topmiller, Robert J. (2006). The Lotus Unleashed: The Buddhist Peace Movement in South Vietnam. University Press of Kentucky. ISBN 0-8131-2260-0. Trần, Mỹ Vân (2005). Vietnamese royal in Exile: Prince Cường Để (1882–1951), Routledge. JFK and the Diem Coup – Provided by the National Security Archive. Electoral fraud, election manipulation, or vote rigging is illegal interference with the process of an election. Acts of fraud affect vote counts to bring about a result, whether by increasing the vote share of the favored candidate, depressing the vote share of the rival candidates. What constitutes electoral fraud under law varies from country to country, many kinds of election fraud are outlawed in electoral legislation, but others are in violation of general laws, such as those banning assault, harassment or libel. Show elections, in only one candidate can win, are sometimes classified as electoral fraud. In national elections, successful electoral fraud can have the effect of a coup détat or corruption of democracy, in a narrow election, a small amount of fraud may be enough to change the result. Even if the outcome is not affected, revelation of fraud can have an effect, if not punished. A list of threats to voting systems, or electoral fraud methods considered as sabotage, is kept by the National Institute of Standards, Electoral fraud can occur in advance of voting if the composition of the electorate is altered. The legality of this type of manipulation varies across jurisdictions, deliberate manipulation of election outcomes is widely considered a violation of the principles of democracy. In many cases it is possible for authorities to control the composition of an electorate in order to produce a foregone result. One way of doing this is to move a number of voters into the electorate prior to an election. Many countries prevent this with rules stipulating that a voter must have lived in a district for a minimum period in order to be eligible to vote there. However, such laws can be used for demographic manipulation as they tend to disenfranchise those with no fixed address, such as the homeless, Roma, another strategy is to permanently move people into an electoral district, usually through public housing. One notable example of this occurred in the City of Westminster in England under Shirley Porter, immigration law may be used to manipulate electoral demography. A method of manipulating primary contests and other elections of party leaders is related to this, people who support one party may temporarily join another party in order to elect a weak candidate for that partys leadership. The Office of the President of Republic of Vietnam in Independence Palace, Saigon, South Vietnam. 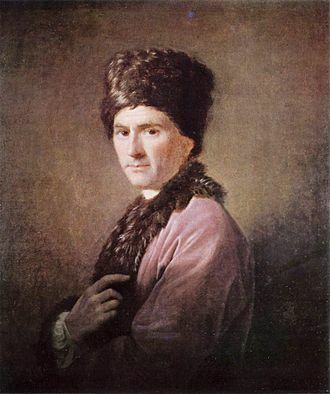 Phan studied the works of Enlightenment philosopher Jean-Jacques Rousseau. Ngô Đình Diệm (pictured), the President of South Vietnam. 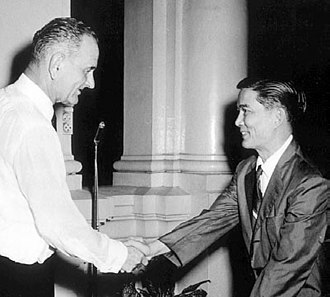 Ngô Đình Nhu (pictured) shaking hands with United States Vice President Lyndon B. Johnson.